I found a shorter clip in one of my boxes from some older model Jetbeam and installed it. Aesthetically, it looks identical, but is much shorter. It fully clears the ring. The new clip feels somewhat flimsier than the original clip. 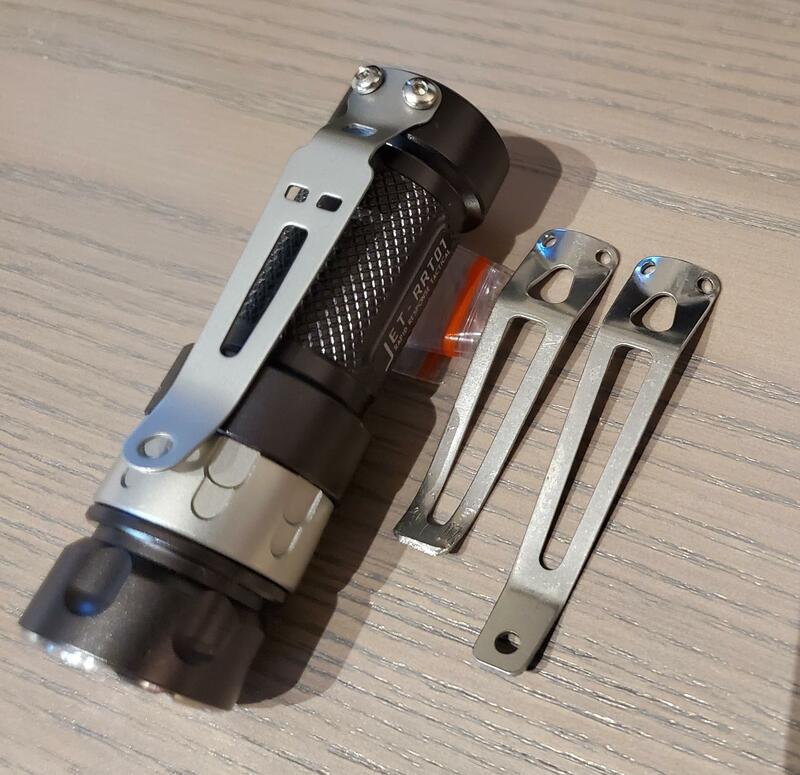 Not as good as the longer clip if you use the clip to actually hold the light to your belt or pocket. As an anti-roll device the shorter clip is much better. It doesn’t interfere with the ring action. Since that’s pretty much all I ever use a clip for if I leave it installed, I prefer the shorter clip in this light. I have two lights with short clips. They have different tension, one is easy to clip and remove from my pants pocket, the other is harder to clip, and remove. The tension on clips is not always identical even when they are the same length. Any aftermarket short clips or way to get them from Jetbeam? I had no problems ordering clips from Jetbeam. I ordered both long and short clips as well as some clips for a discontinued light. They even emailed me pictures of the clips to make sure they had the proper ones. I got 9 clips total for almost $15, shipping included. I got a tracking number from Jetbeam just a few hours after my PayPal payment was sent. Maybe something is getting lost in translation or something. Anyway, try again with Jetbeam. You might get a better outcome. Banggood used to sell aftermarket short clips for the RRT-01. Unfortunately, they are no longer in stock. Interestingly, the Banggood short clip seems to be a bit more rigid (and thus better) than the Jetbeam short clip even though they look pretty much identical. I like neither, I installed the Oveready Spring Steel clip on mine and I’m very pleased. The new RRT01? Any chance you can show a picture and link the specific one that fits? 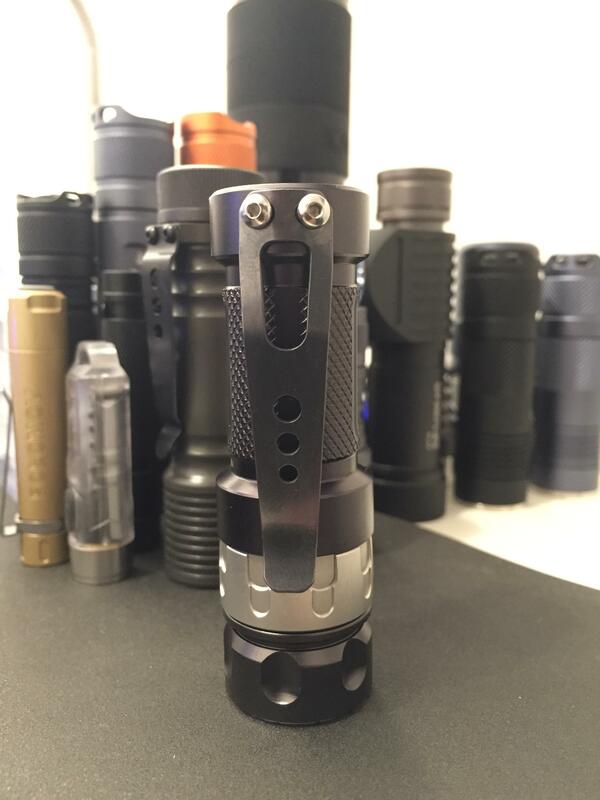 not sure but the Convoy clip might work as well as your long? Was this done recently? Did you inquire via email? If yes, what email did you use? I can’t find any reference to the new light or the old short and long clips they used to sell on either jetbeam site. It shows discontinued on all third party sites like Banggood. The convoy clip is a mm or two larger even. However, you gave me a quick and dirty idea. A few pliers and a file later we have a short convoy? I guess I could heat treat it to a dull finish to better compliment the matte look of the original and ring. a quick and dirty idea. whoa whoa whoa, hold up. CRX had this idea first it seems but this one is still “mine” cause it isn’t pretty..